Dale Iwan Stanley was born the son of Luther and Nancy Stanley (Whitten) on May 8, 1949 in Jeff, Mo., and went to be with the Lord on November 28, 2018. Dale graduated from Licking High School in Licking, Mo. where he played basketball and still holds the school’s highest scoring record with 2,494 points. Dale was married to Margaret Stanley (Brown) and Georgia “Dianne” Stanley (Counts) and was blessed with four children and two stepchildren, who provided him with twelve grandchildren and two great grandchildren, all of which he described as “his greatest achievement”. Dale was a true entrepreneur who owned and operated several grocery stores and restaurants throughout his lifetime. He loved Tennessee Walking horses and enjoyed sharing this passion with his family. Dale loved to drive everywhere to visit family, friends, explore scenic road trips and he was always known to spontaneously drive to the nearest horse show. 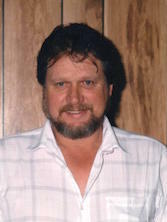 Dale was preceded in life by his father, Luther Stanley, mother Nancy Stanley, brother Glen Stanley, son Matthew Stanley, and wife/partner Georgia “Dianne” Stanley. He is survived by his brother Don Stanley, son Jeffrey Stanley, stepson Ryan Abbey (Ginna), daughters Jill Plumb (Keith), Joni Mitchell (Jay), Julie Galle (Tyler) and stepdaughter Trisha Abbey (Sam). Grandchildren include Shay Lea Smallwood (Justen), Aubrey Stanley, Chaz Abbey, Tate Abbey, Taylor Hindes, Brayden Hindes, Megan Plumb, Elizabeth Plumb, Caroline Plumb, Crosby Mitchell, Piper Mitchell, and Mila Galle. Great grandchildren include Sawyer Smallwood and Judson Smallwood. Numerous nieces and nephews also survive. A celebration of life will be held in Licking, Missouri on Saturday, December 15, 2018 at 11:00 at the First Baptist Church at 223 S. Main Street. In lieu of flowers, the family has established the annual “Dale Stanley Memorial Athletic Scholarship” for Licking High School. Please feel free to send a donation to Landmark Bank at 109 W. Highway 32, P.O. Box 757, Licking, MO 65542, ATTN: Dale Stanley Memorial Athletic Scholarship. Checks are also accepted at any Landmark Bank branch. Online condolences may be left at www.mcgilleyhoge.com.